Colleen Wong is the founder of My Gator Watch, an investment banker turned entrepreneur, and mum of two. At My Gator Watch, the wearable phone and tracker for kids, we wanted to share some tips on managing your kids screen time – without resorting to arguments! First things first, we appreciate it’s not possible to completely eradicate screen time, and we also wouldn’t want to, as the modern world requires our children to understand and engage with technology. But we also know from experience of our own children that some kids are more comfortable and motivated to complete their homework via an online tool, rather than a traditional notebook and pencil. However, with the average UK child spending 6.5 hours a day on screens, coupled with the desire to get our kids using screens less, we’d like to help you make that screen time count and provide some inspiration to divert their attention elsewhere. With this in mind we wanted to share our top 5 tips for reducing screen time. On the whole kids respond well to knowing they have boundaries within everyday life; the same applies to screen time. It might work well in your family to reward screen time in the same way you reward pocket money for age appropriate chores and good behaviour. We’ve just started using the RoosterMoney app for this exact purpose as you can set goals to save for and when children reach that goal, as the parent you can approve and fulfil that goal. So once homework is done and they’ve helped tidy up after dinner, screen time might involve a game they love and an update on their pocket money progress. We are all guilty of this in the modern working world, at My Gator Watch we’re a team of parents working remotely so it’s all too easy to send another ‘quick’ message on Slack. It’s not easy but setting an example by reducing your own screen time is a really helpful way to encourage kids to do the same. Give yourself and the kids a curfew, so for example after 6pm it’s reading, supper and family time only. You might need to lock your own smartphone in a drawer however after all that email can wait! Every child should have a passion whether that’s football, chess club, arts and crafts or tree climbing! Help them find and nurture their passion which will naturally encourage them to spend less time thinking about what they’d like to do online. During the winter months it can be hard to get the kids outdoors in the evenings after school and it can be all too tempting for everyone to turn to their screens for entertainment. Playdates are a great way to get the kids socialising, just make sure everyone knows that a playdate doesn’t just involve online gaming, so have a craft activity organised or a game to hand that they haven’t played for a while. When you’re out and about and want to keep the kids distracted it’s all too easy to pass them your smartphone to avoid the inevitable ‘I’m bored!’ onslaught. In these situations it’s really useful to have a book for older children or for younger children a pack of stickers that they can use for a mini craft creation. It might sound old school, but take it from us, kids loooove stickers! *Discount applies to watches only, and not service. 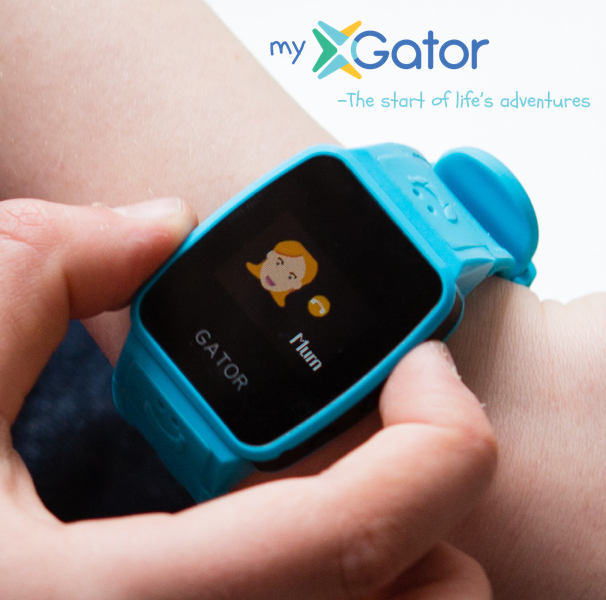 My Gator Watch is a wearable mobile phone and tracker made just for kids. It’s the smarter way to stay connected to your child. Their vision is to give kids today the happy, active childhood their parents had. This means exploring the real world around them. Part of growing up is taking on independence, step by step, and My Gator Watch makes that happen. It uses GPS, two-way calling, works across multiple networks and has an SOS feature for peace of mind. Life’s adventures are waiting. When will your kids’ start?